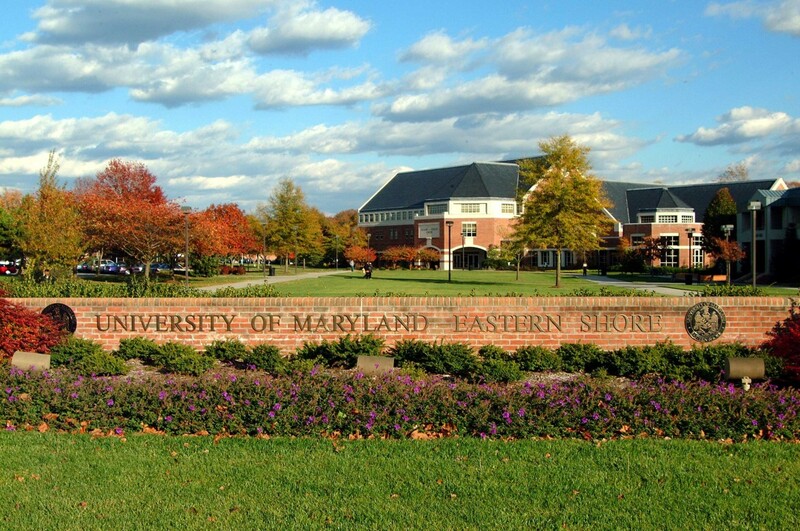 Two high-level officials at the University of Maryland Eastern Shore had conflicts of interest in up to $1.9 million of spending and grants funneled through the university’s affiliated foundation and private companies, an audit has found. The Office of Legislative Audits (OLA) report found inadequate grant oversight due to two potential conflicts of interest. It also found that one employee’s required financial disclosure filings with the State Ethics Commission left out key information about those conflicts. First, auditors reported possible conflicts involving the university and its affiliated foundation, which promotes the university and its mission. Second, the audit described potential conflicts involving the foundation and two private companies: one controlled by the foundation’s executive director and the other owned by a relative. “UMES allowed two of its management employees who, at different times during the audit period, also served as the Foundation’s Executive Director, to exercise virtually complete control over the same transactions for both entities,” the audit stated. The university said it would immediately take remedial actions responsive to all audit findings. In the past, university officials have followed through. The audit reported significant progress by UMES concerning the prior audit because the university has resolved almost all — 10 of the 11 — previous findings. Among the problems identified was that the foundation built greenhouses on a property owned by an entity controlled by its executive director, and entered into a long-term agreement paying operating expenses for the greenhouse with foundation money. It also paid $115,000 to a family member of its executive director for construction work. Auditors asked the Office of the Attorney General to conduct a criminal investigation to determine what happened to an unaccounted $25,000 grant payment in March 2011. Grant documents described a vague scope of work with no deadlines, no specific projects and no tangible results. The university paid $385,000 under a Federal revolving-loan program. The foundation spent loan proceeds improperly because it ignored federal requirements. The foundation didn’t keep auditable records of grant expenditures and failed to send financial reports to the university. The foundation failed to prepare progress reporting of project results. The foundation paid $115,000 to a family relative of its executive director for construction work. The foundation built greenhouses on property owned by an entity controlled by its executive director, and entered into a long-term contract (through 2020) to pay operating expenses with foundation monies. Income and profits from the sale of produce grown in the greenhouses were not returned to the university as required. They purportedly were used to pay project expenses, but income and spending records were not immediately available. A $25,000 grant advance sent by the university to the foundation was deposited in a private bank account. OLA asked the Criminal Division of the Office of Attorney General to investigate whether a crime occurred with this transaction. In all, the university’s poor oversight of funds applied to as much as $1.9 million: $1,480,000 of state and federal grants during July 2006 to January 2014, and an additional $385,000 of loan money under another federal program. In addition to the criminal probe, OLA recommended that a more thorough audit of grant monies be performed under the university’s authority, followed by resolution of all findings between university officials and Federal/State grantor authorities. OLA also recommended follow-up work to resolve possible conflict-reporting deficiencies involving the State Ethics Commission and the University System of Maryland, Board of Regents. One management-level employee of the university held a second position as the Executive Director of an affiliated foundation. Wearing the hat of the foundation’s chief executive, this individual prepared requests for grant advances, sent them to the university where he received his own requests, approved them, and sent them for secondary approval and payment. He then received and deposited the money on behalf of the foundation. “Although the Board of Regents’ Policy on Affiliated Foundations allows a UMES management employee to also serve as the Executive Director of the Foundation, the Policy stipulates that the employee in this position may not represent both parties in any negotiation between UMES and the Foundation,” the audit stated. The head of the foundation was a controlling owner of a private company that owned property on which the foundation built four greenhouses. That company had a long-term memorandum of understanding (through 2020) for operating the greenhouses using funds to be paid by the foundation. Auditors said the foundation paid $380,000 for operations during the two years ended March 2014. In addition, the audit reported the foundation’s executive director also approved payment of $115,000 to a relative for construction work on the project. Didn’t ensure that capabilities assigned to individuals on the financial-management computer systems were adequately restricted. Didn’t control computer accounts and passwords to properly protect its data. Inappropriately stored sensitive personally identifiable information in clear text. Didn’t adequately secure its internal network. Should improve procedures for installing and monitoring anti-malware software on network computers. Didn’t reconcile some of its collections accounts. University of Maryland Eastern Shore officials are crowing about a recent experiment that drastically reduced the ammonia level in chicken houses. But the $1.7 million experiment is about more than reducing the stench of toxic fumes. It’s about saving the Delmarva poultry industry. “If we on Delmarva don’t solve this problem, we won’t have an industry,” Jeannine Harter-Dennis, a UMES poultry scientist, said of chicken litter.